Crimea is a region of the southern area of Ukraine on the Crimean Peninsula. It is located along the Black Sea and covers almost the entire area of the peninsula with the exception of the Sevastopol, a city that is currently being disputed by Russia and Ukraine. Ukraine considers Crimea to be within its jurisdiction, while Russia considers it a portion of its territory. Recent severe political and social unrest in Ukraine led to a referendum on March 16, 2014, in which the majority of Crimea’s population voted to secede from Ukraine and join Russia. This has caused global tension and opponents claim that the election was unconstitutional. Throughout its very long history, the Crimean Peninsula and present-day Crimea have been under the control of a number of different peoples. Archeological evidence shows that the peninsula was inhabited by Greek colonists in the 5th-century BCE and since then there have been many different conquests and invasions. Crimea’s modern history began in 1783 when the Russian Empire annexed the area. In February 1784 Catherine the Great created the Taurida Oblast and Simferopol became the center of the oblast later that same year. At the time of Taurida Oblast’s establishment it was divided into 7 uyezds (an administrative subdivision). In 1796 Paul I abolished the oblast and the area was divided into two uyezds. By 1799 the largest towns in the territory were Simferopol, Sevastopol, Yalta, Yevpatoria, Alushta, Feodosiya, and Kerch. In 1802 Crimea became part of a new Taurida Governate that included all of Crimea and a portion of mainland areas surrounding the peninsula. The Taurida Governate’s center was Simferopol. In 1853 the Crimean War began and much of Crimea’s economic and social infrastructure was badly damaged as most of the war’s large battles were fought in the area. During the war, native Crimean Tatars were forced to flee the region. The Crimean War ended in 1856. In 1917 the Russian Civil War began and control of Crimea changed around ten times as various political entities were set up on the peninsula. On October 18, 1921, the Crimean Autonomous Socialist Soviet Republic was established as a part of the Russian Soviet Federative Socialist Republic (SFSR). Throughout the 1930s Crimea suffered from social problems as its Crimean Tatar and Greek populations were repressed by the Russian government. In addition, two large famines occurred, one from 1921-1922 and another from 1932-1933, that exacerbated the region’s problems. In the 1930s, a large amount of Slavic peoples moved into Crimea and altered the area’s demographics. Crimea was hit hard during World War II and by 1942 much of the peninsula was occupied the German Army. In 1944 troops from the Soviet Union took control of Sevastopol. During that same year, the region’s Crimean Tatar population was deported to central Asia by the Soviet government as they were accused of collaborating with Nazi occupation forces. Shortly thereafter the region’s Armenian, Bulgarian and Greek populations were also deported. On June 30, 1945, the Crimean Autonomous Socialist Soviet Republic was abolished and it became the Crimean Oblast of the Russian SFSR. In 1954 control of the Crimean Oblast was transferred from the Russian SFSR to the Ukrainian Soviet Socialist Republic. 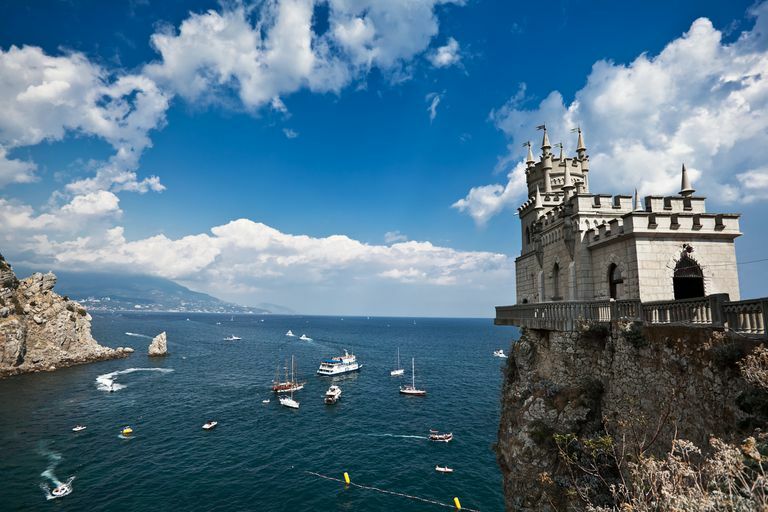 During this time Crimea grew into a large tourist destination for the Russian population. When the Soviet Union collapsed in 1991, Crimea became a part of Ukraine and much of the Crimean Tatar population that was deported returned. This led to tensions and protests over land rights and allocations and political representatives from the Russian community in Crimea sought to strengthen the region’s ties with the Russian government. In 1996 Ukraine’s constitution specified that Crimea would be an autonomous republic but any legislation in its government would have to work with Ukraine’s government. In 1997 Russia officially recognized Ukraine’s sovereignty over Crimea. Throughout the rest of the 1990s and into the 2000s, a controversy over Crimea remained and anti-Ukrainian demonstrations took place in 2009. In late February 2014 severe political and social unrest began in Ukraine’s capital, Kyiv, after Russia suspended a proposed financial aid package. On February 21, 2014, Ukraine’s president, Viktor Yanukovych agreed to accept a weakening presidency and hold new elections by the end of the year. Russia however, refused the deal and the opposition escalated their protests causing Yanukovych to flee Kyiv on February 22, 2014. An interim government was put into place but further demonstrations began to take place in Crimea. During these protests, Russian extremists took over several government buildings in Simferopol and raised the Russian flag. On March 1, 2014, Russia’s president, Vladimir Putin, dispatched troops to Crimea, stating that Russia needed to protect the ethnic Russians in the region from extremists and anti-government protestors in Kyiv. By March 3rd, Russia was in control of Crimea. As a result of Crimea’s unrest, a referendum was held on March 16, 2014, to determine whether Crimea would remain a part of Ukraine or be annexed by Russia. The majority of Crimea’s voters approved secession but many opponents claim that the vote was unconstitutional and Ukraine’s interim government claimed that it would not accept the secession. Despite these claims, lawmakers in Russia approved a treaty on March 20, 2014, to annex Crimea amid international sanctions. On March 22, 2014, Russian troops began storming air bases in Crimea in an effort to force Ukrainian forces from the region. In addition, a Ukrainian warship was seized, protesters seized a Ukrainian naval base and pro-Russian activists held protests and rallies in Ukraine. By March 24, 2014, Ukrainian forces began to withdraw from Crimea. Today, Crimea is considered a semi-autonomous region. It has been annexed by Russia and is considered a part of Russia by that country and its supporters. However, since Ukraine and many western countries deemed the March 2014 referendum to be illegal they still consider Crimea a part of Ukraine. Those in opposition say that the vote was illegal because it “violated Ukraine’s newly re-forged constitution and amounts to … [an attempt]…by Russia to expand its borders to the Black Sea peninsula under a threat of force." At the time of this writing, Russia was moving forward with plans to annex Crimea despite Ukraine’s and international opposition. Russia’s main claim for wanting to annex Crimea is that it needs to protect the ethnic Russian citizens in the region from extremists and the interim government in Kyiv. The majority of Crimea’s population identifies themselves as ethnic Russian (58%) and over 50% of the population speaks Russian. Crimea’s economy is based mainly on tourism and agriculture. The city of Yalta is a popular destination on the Black Sea for many Russians as are Alushta, Eupatoria, Saki, Feodosia, and Sudak. The main agricultural products of Crimea are cereals, vegetables, and wine. 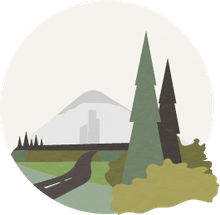 Cattle, poultry and sheep breeding are also important and Crimea is home to a variety of natural resources like salt, porphyry, limestone, and ironstone. Crimea is located on the northern part of the Black Sea and on the western part of the Sea of Azov. It also borders Ukraine’s Kherson Oblast. Crimea occupies the land making up the Crimean Peninsula, which is separated from Ukraine by the Sivash system of shallow lagoons. Crimea’s coastline is rugged and made up of several bays and harbors. Its topography is relatively flat as most of the peninsula is made up of semiarid steppe or prairie lands. The Crimean Mountains are along its southeast coast. Crimea’s climate is temperate continental in its interior and summers are hot, while winters are cold. Its coastal regions are milder and precipitation is low throughout the region.